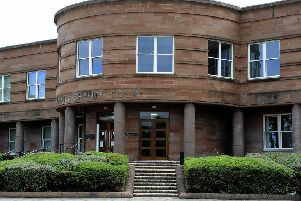 Two Falkirk councillors have been charged following a police investigation into “planning concerns”. Labour’s John McLuckie, depute convener of the council’s planning committee, Tory James Kerr, who is a member of the planning committee, and a third man were charged on Wednesday. Police Scotland said it followed an investigation by the force’s Economic Crime and Financial Investigation Unit. The two councillors, who both represent the Upper Braes ward, have also been suspended by their parties. Mr McLuckie has been a councillor since 2007, while Mr Kerr was elected last year. A Police Scotland spokesperson said: “Three men have been charged following an investigation by the Economic Crime and Financial Investigation Unit into planning concerns raised in Falkirk.